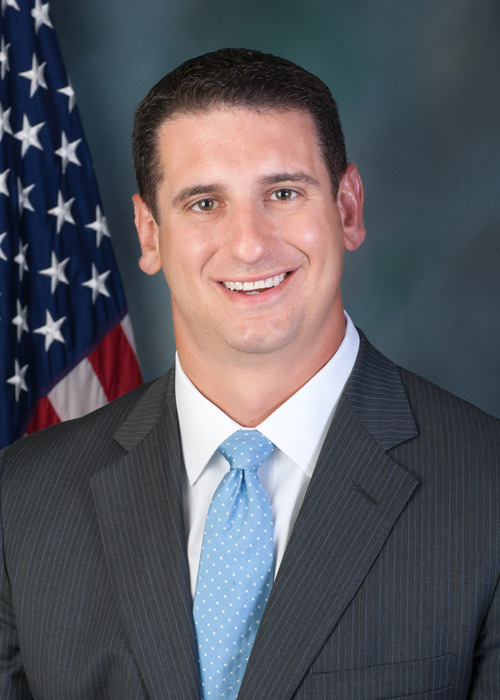 House Majority Leader Dave Reed will not run for Governor or the U.S. Senate in 2018. “So, there you have it, no run for Governor or the United States Senate in 2018. 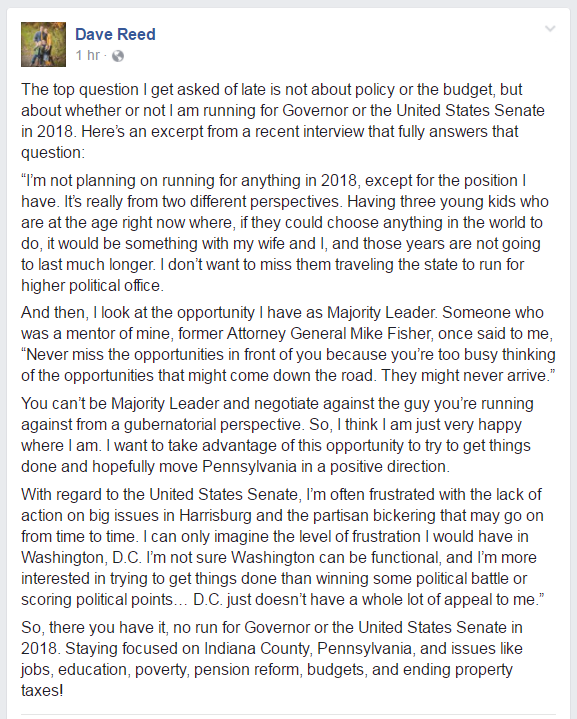 Staying focused on Indiana County, Pennsylvania, and issues like jobs, education, poverty, pension reform, budgets, and ending property taxes!” Reed wrote in a lengthy statement on Facebook Friday afternoon. 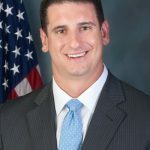 He posted remarks from an interview with Brad Bumsted and Paula Knudsen of The Caucus, a Harrisburg-focused, print-only publication of the LNP Media group. Reed has been rumored as a possible candidate for statewide office next year, going so far as to launch a website in preparation for a bid. Party insiders in DC and Harrisburg considered him a top-tier recruit for either race. Now we can finally rest after all these nights waiting to here the news. More evidence that the smart operatives see the writing on the wall. 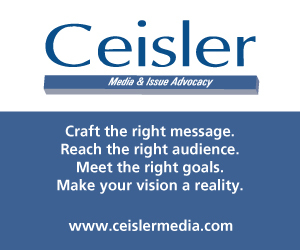 Trying to unseat Sen. Casey or Gov. Wolf this cycle is an uphill battle; if the Republican President’s and Republican Congress’s numbers don’t improve between now and next year, it will be a downright fool’s errand. 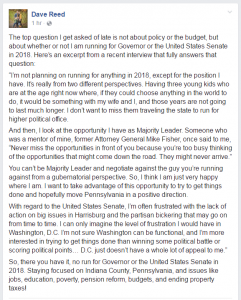 So…if it’s wrong for Reed to be in House leadership whilst running for governor, why is it ok for Turzai to be Speaker whilst running for governor? 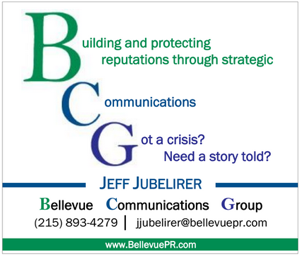 Won’t turzai be negotiating the budget with Wolf in bad faith, to do everything he can to make Wolf look bad instead of what’s best for Pennsylvania? It’s almost like he has been told that the Speaker will run for a governor and this he will likely be Speaker Reed. Good thing, I like you Dave, and if I had to choose between you and Libertarian Dale Kerns, I would have to go Kerns. Luckily I can now vote for you both. Thank you for giving me my cake to eat too! @Aaron @Phil Hughes. Agree. Right now Dave Reed is happy to stay where he is, and that’s good for the state as well as for his own career. Both the Gubernatorial and Senate races are dangerous terrain. The race for the former will be vicious and damaging to all concerned whether Wagner stays in or not, and there is still no Republican challenger of sufficient stature likely to emerge to useat Casey. Good choice on Reed’s part, and an eminent demonstration of common sense. Reed is a very capable Majority Leader who is smart, honest and someone you can work with. He has a bright future. Majority Leader Dave Reed will make an excellent governor or senator in the not so distant future. He is a man of character and integrity and his intellectual honesty and curiosity is second to none. I think he’s made a wise choice. He’s got plenty of time. Poor little guy is afraid to take a risk and run for something bigger than himself. will he be running for reelection next year then. He sees the handwriting on the wall with Trump as President. He’ll be lucky to keep his present job if Trump lasts much longer.